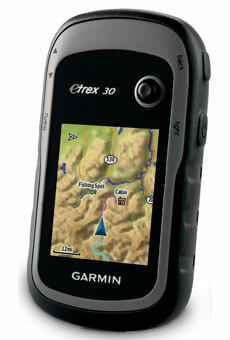 Stay on Course: eTrex 30 takes all the features mentioned and adds a built-in 3-axis tilt-compensated electronic compass, which shows your heading even when you’re standing still, without holding it level. Also added is a barometric altimeter which tracks changes in pressure to pinpoint your precise altitude and wireless unit-to-unit data transfer with compatible devices. 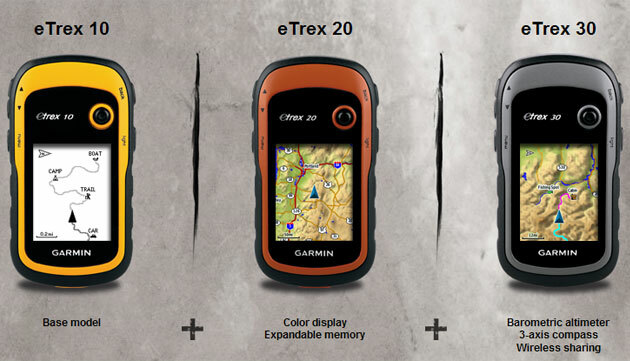 This top of the line offering within the new eTrex series was designed for the outdoor enthusiasts who want easy access to the most amount of information in small compact product.